Iguana Sell Pens | Old Fountain Pen Ads! It’s easy to relate fountain pens to older times, as they appear to be vintage writing instruments, predecessors of our modern day ballpoints. But for pen-lovers there’s a kind of nostalgia when seeing real evidence of how old fountain pens really are. Here are some samples of fountain pen ads taken from old newspapers in Spain in the early 20th Century. 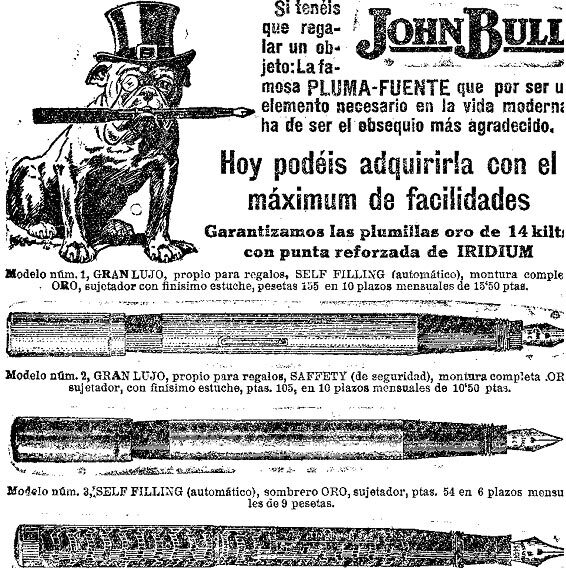 This first ad presents three old John Bull fountain pens, and describes them as “necessary modern-life item”. The pens included an iridium pointed 14 K gold nib. The first model was completely gold plated and came with a “self-filling” converter. It’s described as “perfect for gifts” and “high luxury”, and costed only 155 pesetas (now equivalent to 90 eurocents)! The second model was also described as “high luxury”. It was completely gold plated as well and included a “Safety” filling mechanism. The third and last model was probably made of resin and is said to have had a golden “hat”, the top part of the cap. This pen only costed 54 pesetas, now equivalent to 30 eurocents! This other advertisement takes us to the military campaign in Morocco, carried out by Spanish troops from 1911 to1927. The ad literally says: “To enjoy your breaks in the campaign. 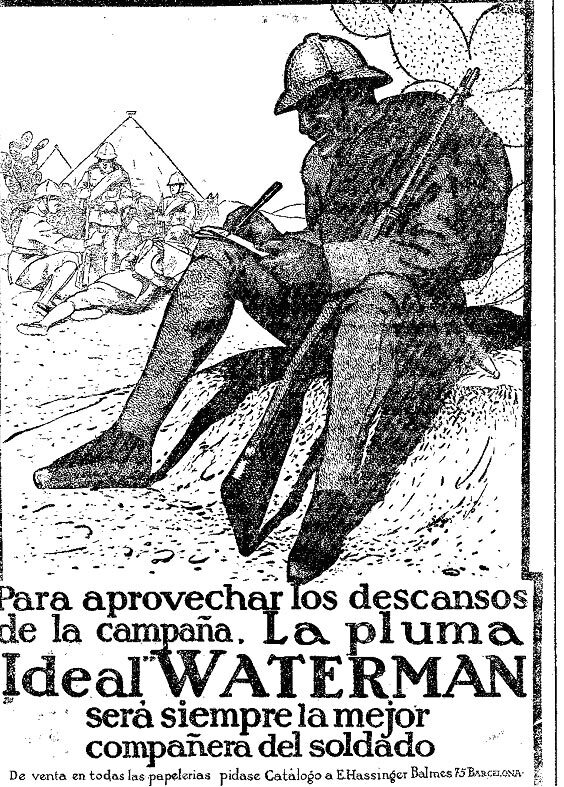 The Ideal Waterman fountain pen will always be the best companion of a soldier.” It pictures an image of a Spanish soldier writing a letter to his beloved ones in a desert landscape. Aurora Alpha Terra Senese Fountain PenLeather on a Pen? That’s Dupont!